Do you ever get off the beaten track when you travel? 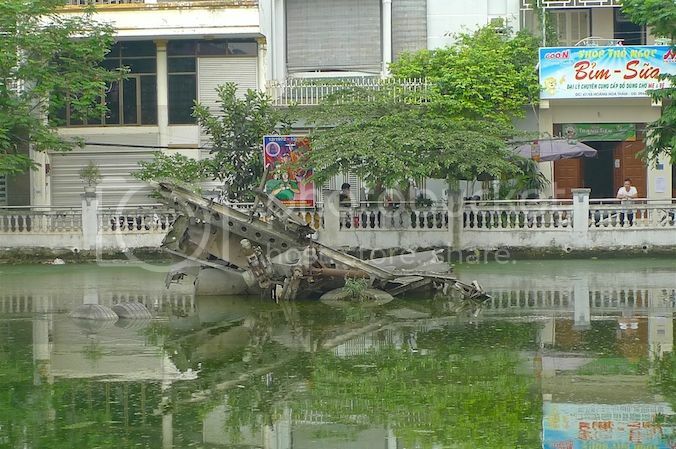 I always like to do that, and in fact, I did just that while traveling in Hanoi and it was all just to find that famous downed B-52 Bomber, a remnant from the Vietnam War. 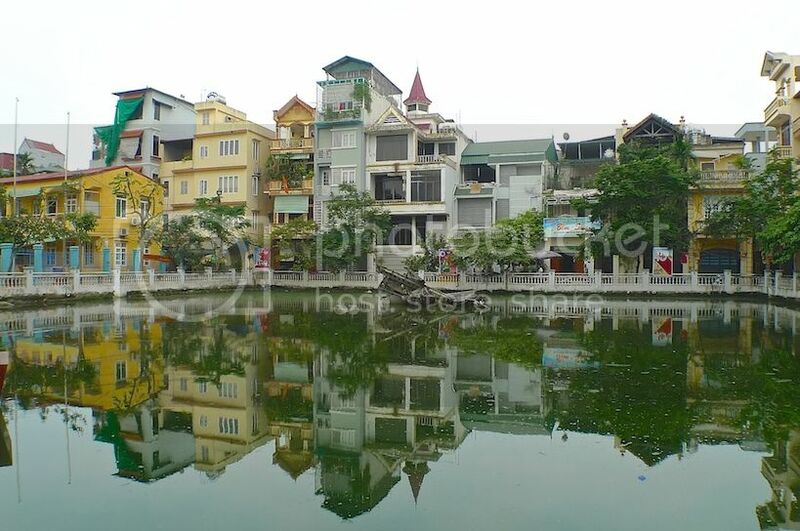 To get to the site of the B-52 wreck - which is in the middle of Huu Tiep Lake - you need to navigate through narrow streets which cannot possibly fit a car or a taxi. So, to avoid getting lost, I did the next best thing. I hired a Xe-Om driver. 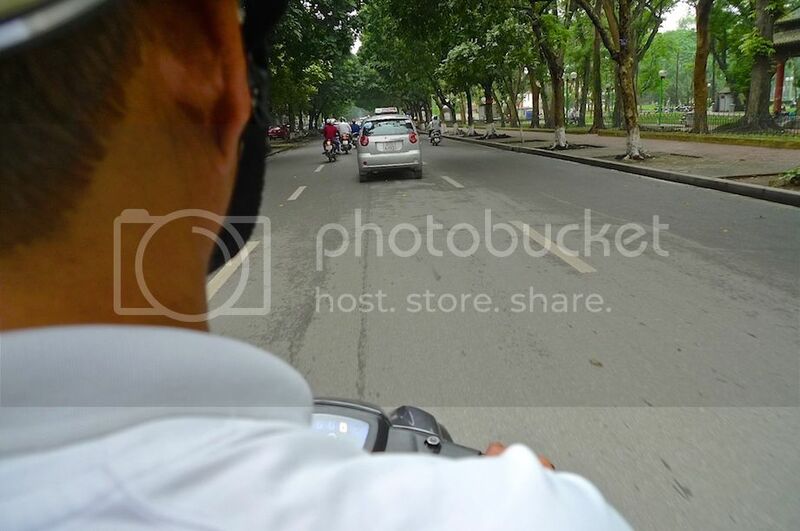 Xe-Om (pronounced as say ohm) is what Vietnamese referred to as motorcycle taxis. Xe-Om actually means 'hug the driver' but I can assure you I did no such thing although I'm pretty sure you can do that if you want to. LOL! It's quite safe actually (helmet is provided) if you do not mind seeing cars zooming past and missing you by inches, that is! Oh wait ... in actual fact, I think it was me and the xe-om driver who zoomed past most cars by inches, haha! How did I capture the photo above? Simple, I put my left hand on his shoulder to balance myself while my right hand held the camera and snapped away! Definitely no time to do any hugging LOL! One word of caution when you engage a xe-om driver : Make sure you negotiate the price with him before hand, otherwise you might find yourself arguing with him over the price later. Anyway, this friendly driver led me down some narrow lanes before we finally reached Huu Tiep Lake. Don't know where Huu Tiep Lake is? Just use Google Map and search for the words "Ho Huu Tiep". 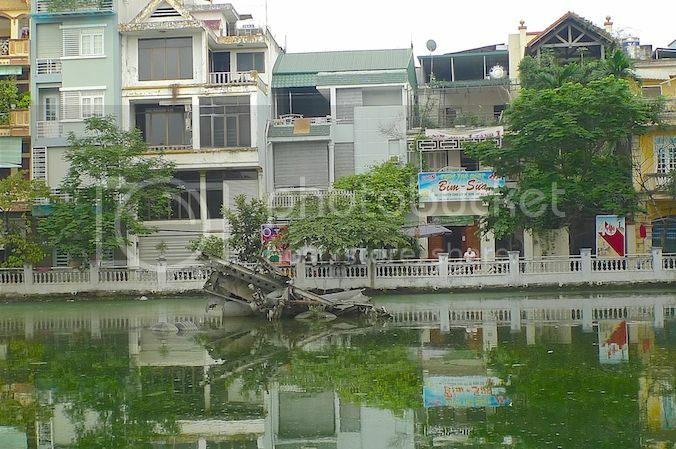 So there it was - the B-52 bomber wreckage with part of it sticking out of the lake! This downed plane was part of the biggest ever bombing campaign (nicknamed "Operation Linebacker II") by US President Nixon before the American troops withdrew from Vietnam. The plane was probably shot down during the Christmas bombings in December 1972. History aside, I was not too impressed and even think it's overrated as a tourist attraction. The lake was just a small, somewhat dirty lake surrounded by residential buildings. But then again, this is an important part of history, so it's still worth a visit, at least once in your life! Note : My post on the Temple Of Literature is put on hold temporarily as I have too many photos and too little time to edit them. I look forward to update that post soon!